Prime Test Kitchen (PTK) has been tantalizing the taste buds of local foodies, and frequent travelers, since opening its doors in the Spring of 2018. Located at 8220 Franklin Avenue and within the Merit Hotel and Suites franchise, the restaurant caters regularly to all of the above, as well as the staff and faculty at Keyano College. The new PTK restaurant has replaced the old Alexander’s Lounge, which closed its doors in 2016. As for the Merit Hotel, it has been a popular accommodations franchise in the community for decades. It’s located across the street from the Red Arrow Terminal and steps away from the city’s Waterfront District. The PTK is also one of two establishments under the Prime Social Group (PSG) umbrella, which was founded in February 2012 by Andrewe Parker. 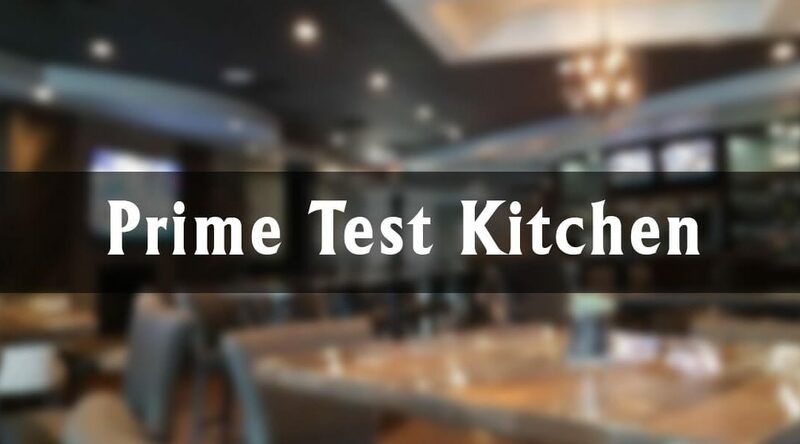 The first franchise to open was Prime Social Kitchen (PSK) located inside the Raddison Hotel at 453 Gregoire Drive in Gregoire, which is a sub-division located at the top of the hill when driving North into the city on Highway 63. According to Prime’s website, Parker had built PSK into a well-established steakhouse until it was damaged from Fort McMurray’s 2016 Wildfire. The neighbourhoods of Gregoire and Prairie Creek were the first to hear the declaration of the local state of emergency on May 1, 2016. This included the Centennial Trailer Park, which has completely destroyed from the fire. “It has taken two years of hard work to have the restaurant rebuilt. Andrewe Parker has made it his mission to come back better than ever for this community,” as stated on its website. In July 2018, Prime Test Kitchen hosted the after-party for the Fort McMurray Food Festival’s Best Pub Food Club. This second annual event was a part of the five-day festival, where three Diversified coach busses brought guests to designated eateries throughout the city. The restaurants on the pub crawl included Earls/Fuel Fort McMurray, The Den, Famoso Neapolitan Pizzeria, Wood Buffalo Brewing Co., Surekha’s on the Syne and PTK. PTK was the last stop of the night. During this time, the staff treated everyone to a BBQ with live entertainment, while guests voted on their favourite appetizer, drink and overall experience from the night’s event. PTK took home the ‘Best Drink’ and ‘Best Entertainment’ titles. Based on their Facebook page reviews, they rank a 4.8 out of 5 based on the opinion of 48 people. With menus available for breakfast, lunch, and dinner; it offers dishes from savory starters to fall-off-the-bone entrees. ‘Happy Hour’ also takes place from 3 p.m. to 6 p.m. daily with $6 Mercury pinks, $6 glasses of Mad Housewife and Talking Stories (both red and white) and $4 hi-balls. PTK offers catering, delivery, outdoor seating, reservations, take-out, walk-ins, waiter services and it’s also family-friendly. To learn more about the restaurant, go online or check out their Facebook page.